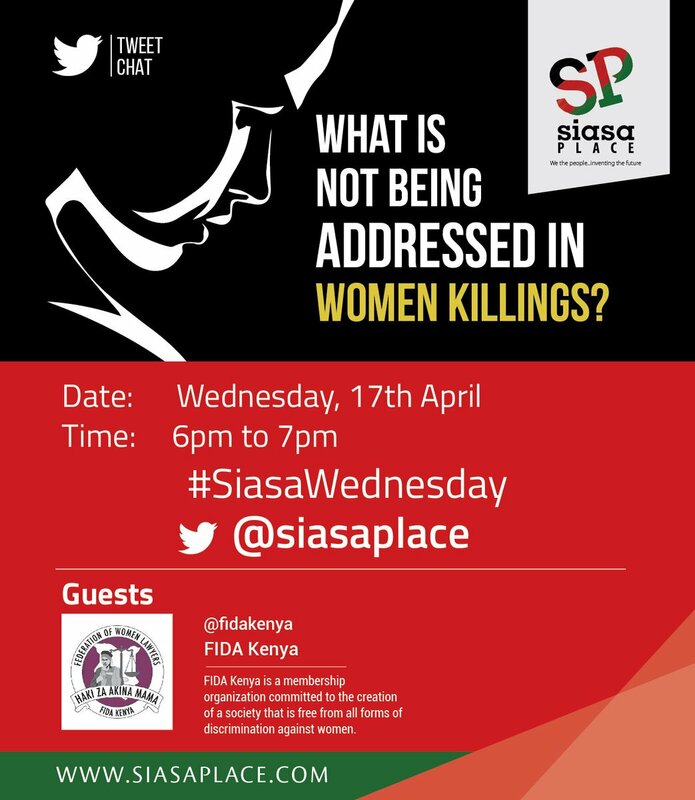 Siasa Talks are open, diverse and inclusive forums bringing youth and the public together to discuss everyday issues that affect them and to unpack how these issues are politically related. It is a forum where we educate people on constitutional provisions, such as their right to engage in governance issues and why it is important for them to not shy away from political participation – but in fact to throw themselves into it. Only through citizen participation can we start to hold our leaders to account and strengthen devolution. For devolution to work the people must be involved in the decision- making and oversight functions. While youth and women comprise well over half of the eligible voting population in Kenya, policy-level decisions are often made without their input. With reduced access to the political process by women and youth, county government is less responsive to their social, economic and political needs. Siasa Place employs two approaches during the implementation of activities. The first approach builds the strategic capacity of youth groups and leaders to engage county governments in demanding youth inclusion in decision-making and the provision of services related to the well-being of youth. The second approach focuses on facilitating mechanisms for engagement with government leaders. Imara Africa is a one year leadership program being implemented in partnership between Siasa Place, Africa Youth Leadership Forum, and Mark Appeal. The program brings together young people from across the country, with the aim of imparting the necessary knowledge and skills required in public service as ‘service’. By the end of the program, these young leaders will champion the culture of meaningful public participation and responsive National and County Governments. First cohort has 24 youth trained in policy. We held community dialogues for Youth (trainings on the County government structures, our session was called ‘Jua County Yako and public participation) with JIACTIVATE, a consortium of Youth groups across the country working on different issues. The 15 counties were Machakos, Makueni, Kajiado, Nyeri, Muranga, Kisumu, Siaya, Busia, Kilifi, Mombasa, Isiolo, Nakuru, Bomet, Uasin Gishu and Turkana. In these forums we reached 100 Youth per county, that’s 1500 Youth between February and May. From these forums the State of the Youth Report was written and launched in June, 2018. With increased internet penetration, there are more Kenyans engaging online on diverse issues, however little is being done to increase women’s participation on online platforms, or ensuring that those engaging are safe and making an impact in their fields of expertise. A workshop that was exclusively for women with intermediary knowledge of social media usage was held in Nairobi on August 31st 2018, and focused on Digital Literacy, Content Creation, Digital Storytelling, Understanding Digital Ecosystem, Citizen Journalism and Security online. A total of 40 women were trained during this workshop. Writer’s podium is a space where youth write about the socio-political and economic issues in the community started in 2017. The writers come from all backgrounds and are brought together by their passion for expressing themselves through writing.